Hearing Dogs for Deaf People is a charity providing vital support for deaf people through hearing dogs and is calling for volunteers. The charity really needs more volunteers to help out at its Croydon and Wimbledon Fundraising Branch and to help the charity raise its profile it will be making an appearance at the Whitgift Shopping Centre on Saturday 25th April. Dogs for the blind have had much more publicity in the past and as such are able to raise more funds. 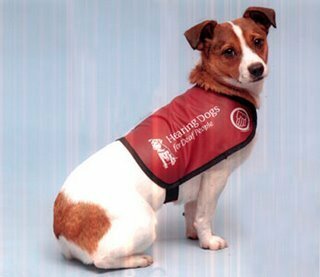 Hearing dogs for the deaf, such as Priscilla pictured here courtesy of Hearing Dogs for Deaf People, perform a vital role for their human companions too. A spokesman for the organisation said: “Visitors to the stand will be able to meet hearing dogs and their owners and chat first hand about the difference their hearing dog has made to their life. Come along and meet us and find out how you can help the branch.